The perfect floor plan! Ranch with basement in Waxhaw! Built in 2014, this home has over $100k in upgrades both before and after close! Energy star construction on premium cul de sac lot with dual greatrooms each with stone fire places. 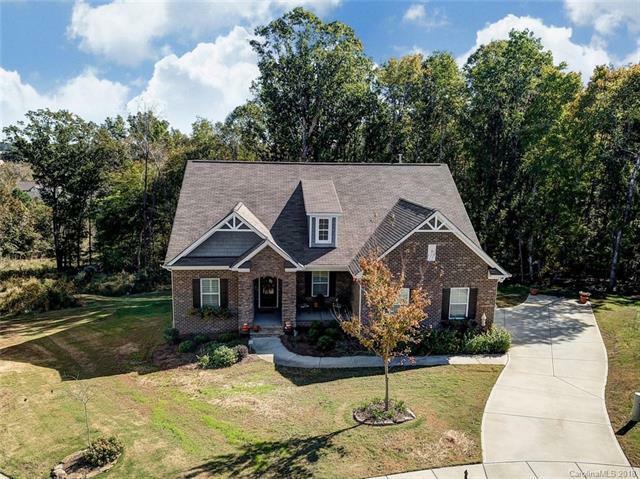 Abundant hardwoods up & down, plantation shutters, gourmet eat-in kitchen with upgraded cabinets, soft pull drawers, upgraded granite & huge island that has additional seating. Office with french doors, formal dining. Main level owner's suite with trey ceiling. Spa like bath features oversized walk in shower, beautiful built in vanity and huge walk in closet. Lower terrace level- spacious great room, 2 bedrooms, built in bar with wine fridge, media/bonus room & huge walk in storage. No builder lighting exists! Fabulous totally private screened in porch with extended deck, outdoor fireplace, hot tub and beautiful views! Deck and fireplace additions by Archadeck of Charlotte. Award winning Cuthbertson schools! Sold by Bryant Realty Homes Llc.